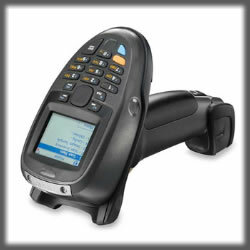 DS4800 The DS4800 Series is an innovative bar code scanner that offers style without compromise. You get elite performance, elegantly crafted — impressive design, innovative technologies and enterprise reliability and functionality. LI2208 The LI2208 general purpose corded linear imager delivers the same reliability and ergonomics of our most popular scanner, the LS2208, with enhanced features that let you scan more types of bar codes, faster and at a greater distance. LI4278 Take 1D bar code scanning to the next level with the LI4278, a general purpose cordless scanner that will allow workers to scan faster and farther. DS4208-HC Disinfectant-ready imager captures 1D/2D bar codes on a wide range of medical items as well as computer and mobile phone displays, helping hospitals and healthcare industry automate data capture at the point of care. DS4208 Deliver blazing speed on both 1D and 2D bar codes, and scan bar codes printed on paper labels or displayed on the screen of a mobile phone, with the DS4208. DS9808-R The DS9808-R is the first combination 1D/2D bar code scanner and RFID reader and the first combination handheld/hands-free UHF RFID reader. DS9208 Omni Directional Hands-free and handheld data capture of 1D and 2D bar codes from paper labels or mobile phones. DS6707-DP Premier imager scanner captures 1D/2D/PDF/postal bar codes, images and direct part marks – including the most challenging mark, dot peen. DS6878-DL The DS6878-DL cordless Bluetooth imager with embedded drivers license parsing combines 1D, 2D, PDF417 bar code capture from labels and mobile phone displays with the ability to decode bar code information on drivers licenses. Optional presentation cradle enables image capture, OCR and MICR. DS6878-HC The Motorola DS6878-HC cordless imager enables hospitals to automate data capture and improve data accuracy, helping to prevent medical errors and improving patient safety. DS6878-SR Advanced imager reads 1D, 2D, PDF417 bar codes on both labels and mobile phone displays. Optional presentation cradle enables image capture, OCR and MICR DS9808 Hybrid design delivers dynamic, high-performance hands-free and handheld data capture of 1D/ 2D/PDF417 bar codes, images and signatures. LS2208 The moderately-priced, high-performance handheld bar code scanner best suited for retail and healthcare. LS7808 An omni-directional, in-counter bar code scanner that speeds up checkout with its high throughput and first-pass read rates. CS1504 Motorola's "shopping buddy" (portable scanner) allows customers to buy your products anytime, anywhere. LS1203 An affordable, durable, high-quality laser scanner, ideal for small retailers. LS1203-HD Affordable, durable, high-quality laser scanner designed to read small, high density 1D bar codes; ideal for electronics manufacturers. LS4208 This premium, next-generation handheld laser scanner accelerates throughput with breakthrough productivity-enhancing features. LS7708 A high-performance presentation and swipe scanner that increases throughput at the checkout. DS6700 A handheld device capable of capturing both full-size documents and 1D, 2D and PDF417 bar codes from any angle. DS6707-HD Versatile digital imager scanner brings affordable high density 1D, 2D and PDF417 bar code scanning to the electronics manufacturing environment. DS6708-DL A handheld device designed to read the PDF417 bar code on U.S. driver's licenses, as well as capture 1D and 2D bar codes from any angle. DS3500-ER Developed to enable both 1D and 2D bar code reading, the DS3500-ER Series offer the scanning range, rugged design and speed that will make a difference in your business DS3508 High-performance, omni-directional digital scanners that capture 1D/2D bar codes and direct part marks, capture and transfer images, and support IUID. DS3578 Cordless, high-performance, omni-directional digital scanners that capture 1D/2D bar codes and direct part marks, and support IUID. LS3008 This device offers affordable performance and durability in light industrial, retail back room and healthcare environments. LS3408-ER Corded scanner captures 1D bar codes under harsh conditions, even when labels are at varying distances. 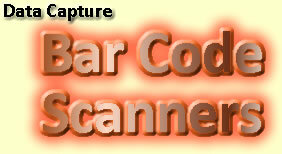 LS3408-FZ This corded scanner uses fuzzy logic for optimal capture of 1D bar codes. LS3578-ER A cordless Bluetooth®-enabled laser scanner that reads 1D bar codes from near or far. LS3578-FZ This rugged Bluetooth-enabled scanner captures all one-dimensional (1D) bar codes even when dirty, damaged or poorly printed. MS954 A high-performance, compact fixed mount scanner for 1D applications with space constraints. Xenon 1900h Honeywell's Xenon 1900h healthcare area imager is redefining the standard for hand-held scanners, featuring a custom image sensor that is optimized for barcode scanning. Offering industry-leading performance and reliability, the Xenon 1900h healthcare scanner is well-suited for a wide variety of applications that require the versatility of area-imaging technology. Xenon 1900h Color Honeywell's Xenon 1900h Color healthcare scanner is redefining the capabilities of hand-held area image scanners, featuring a custom image sensor that is optimized for barcode scanning and ColorFusion™ Technology which enables color image capture. With industry-leading performance and reliability, Xenon 1900h Color area imager is well suited for a wide variety of healthcare applications that would benefit from the ability to capture color images, including wound management and patient identification. Xenon 1902 Honeywell's Xenon 1902 wireless area imaging scanner offers industry-leading performance and reliability for a wide variety of applications that require the versatility of area-imaging technology plus the freedom of Bluetooth® wireless connectivity. Xenon 1902 Color Honeywell's Xenon™ 1902 Color, our most advanced wireless area-imaging scanner, now allows customers to scan barcodes as well as capture color images with no loss in scan speed. Xenon 1902h Honeywell's Xenon 1902h healthcare area image scanner is redefining the standard for hand-held scanners. Honeywell’s sixth-generation of area imaging technology features a custom image sensor that is optimized for high-throughput barcode scanning. Xenon 1902h Color Honeywell's Xenon™ 1902h Color healthcare scanner is redefining the capabilities of hand-held scanners, featuring a custom image sensor that is optimized for barcode scanning and ColorFusion™ Technology which enables color image capture. Voyager 1400g Honeywell's Voyager 1400g is the ultimate 2D barcode scanner. This linear imager is capable of reading even poor quality and mobile 2D barcodes. 2D barcode scanners are becoming increasingly popular across a wide range of industries for a number of reasons Voyager 1200g Honeywell's Voyager® 1200g laser barcode scanner, built on the platform of the world’s best-selling single-line laser scanner, delivers aggressive scan performance on virtually all linear barcodes, including poor quality and damaged codes. Fusion 3780 Honeywell's Fusion 3780 laser barcode scanner combines omnidirectional and single-line laser scanning into a lightweight and ergonomic hand-held form factor. Eclipse 5145 Honeywell's Eclipse 5145 ™ is a single-line, hand-held laser scanner with a compact form factor perfect for retail applications. 3800g HD Honeywell's 3800g HD linear imager is optimized for applications using high-density (HD) barcodes commonly found in electronics manufacturing, telecom, aerospace and automotive 3800g PDF Honeywell's 3800g PDF linear image scanner is built to serve applications that require high-performance linear barcode scanning as well as an economical solution for occasional PDF417 barcode reading. 3800r Honeywell's 3800r linear image barcode scanner, designed specifically for retail applications, delivers the right balance of scanning performance, connectivity and durability. 3800i Honeywell's 3800i industrial linear image scanner is purpose-built for the most demanding applications in the toughest conditions, including warehouse, distribution, logistics and rugged retail environments. 3820i Honeywell's 3820i industrial cordless linear imager is designed to provide high-performance linear barcode scanning for applications that demand reliability in the most challenging working environments, combined with the freedom and convenience of Bluetooth® cordless connectivity. 4800i Honeywell's 4800i industrial 2D imager is designed to provide unmatched data collection performance and versatility for applications that demand maximum reliability in the harshest working environments. 4820i Honeywell's 4820i industrial cordless 2D imager is designed to provide unmatched data collection performance and versatility for applications that demand maximum reliability in the most challenging working environments. This wireless industrial area imager allows movement up to 33 feet (10m) from the base and has Adaptive Frequency Hopping (AFH) to eliminate interference with other wireless systems. Genesis 7580g Honeywell’s Genesis™ 7580g, the world’s first presentation area-imaging scanner engineered to decode all standard 1D, PDF and 2D codes, provides enhanced productivity and revolutionary imaging technology in an elegant, yet durable design. Vuquest 3310g Honeywell’s Vuquest 3310g compact area-imaging scanner offers aggressive scanning of all 1D, PDF and 2D barcodes in a lightweight, durable and portable form factor. CG 7180 Honeywell's OrbitCG 7180 omnidirectional hands-free scanner, based on the original award-winning design of the Orbit 7120, offers all the advantages of the Orbit 7120 with two unique features. Solaris Honeywell's Solaris 7820 hands-free vertical mini-slot scanner increases productivity with an unmatched feature set that aggressively scans high-density codes and fits easily into any existing enclosure found in small item, high-volume retail environments. Stratos 2700 The Stratos™ 2700 is Honeywell’s first hybrid bioptic in-counter scanner that combines omnidirectional laser scanning and integrated area-imaging to provide a bar code reading platform optimized for the checkout experience. Stratos 2400 Honeywell's Stratos 2400 premium five-sided, in-counter barcode scanner / scale increases productivity in demanding, high-volume seated and small checkout environments.